The National ALTA Registry Operates Similarly to a Phone Book. A phone book tells you that at the time of printing, it can be confirmed that a business existed with its printed name and location(s). It is an industry utility designed only to help the lending industry communicate more effectively with their title and settlement service providers. To this end, we would like to take this opportunity to remind everyone what data is published in the Registry and how it gets there. Be on the lookout for phishing activities where the ALTA Registry is used as the reason to contact you. Phishers look to gather information from you for illicit purposes. There is no reason why you would need to provide a third party further details about your ALTA Registry listing – other than what is already available to the public or a lender through the registry. Furthermore, when details must be amended or updated as part of the confirmation process the request will always come from the Registry Management System (RMS) in an email from altaregistry@alta.org. Always check the accuracy of our email address – fraudsters often try and fool you with a slight change to our true email and hope you won't notice. Can you spot the changes made in these two examples? Answers are below. 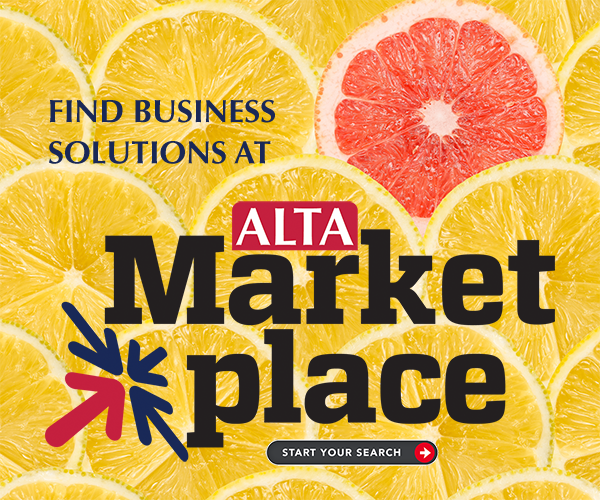 Just as when you set up your original listing, changes to your ALTA Registry listing are made only by you in the RMS, the update of the ALTA Registry is part of an automated process. The only entities with access to registry data in the form of a download are lenders and their technology vendors. If you are approached by a company offering to sell you a "Title Agent Database" verified or confirmed by underwriters, or something similar please take their details and contact the ALTA Registry. When we enter into an agreement with a lender or a technology vendor we require them to safe guard any information provided to them and they are prohibited from using it for anything else other than it's intended purpose. The intended purpose has always been and shall remain the facilitation of accurate identification and communication between the listed entities and their lender clients. As a trade association, ALTA uses "org" as its domain name. In the example, the first part of the email address was correct but here the scammer used ".com" as the domain. Sneaky huh? This one is very tricky. The domain type is correct but here the scammer is relying on you merely glancing at the address and not noticing it's from "atla.org" and not "alta.org." The "l" and "t" have been swapped around. The bad guys spend a lot of time thinking up ways to confuse us!